Ulefone has introduced the Ulefone Note 7, its first smartphone from the Note series targeting the Redmi Note 7 mid-range king. 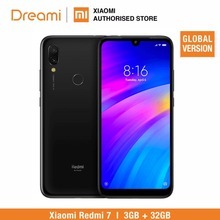 Specs wise, the smartphone was obviously designed for those who might not be able to afford the Redmi Note 7. Ulefone Note 7 is built around a 6.1″ HD+ waterdrop display and also comes loaded with Redmi Note 7 wallpapers. However, it’s powered by the MT6580A quad-core processor, with 1/2GB + 16GB storage configuration, the latter is upgradeable to 64GB. Nonetheless, it has more rear camera than the Redmi Note 7. It houses a triple 8MP + 2MP + 2MP rear camera, which we doubt will be more powerful than the 48MP camera beast we saw when we unboxed the Redmi Note 7. The phone is powered by a 3500mAh battery capacity and has the trendy Face Unlock, disappointingly it runs on an older Android 8.1 Oreo. Price starts at $69. Xiaomi Redmi Note 5 Pro Vs Redmi Note 7: Will You Upgrade?